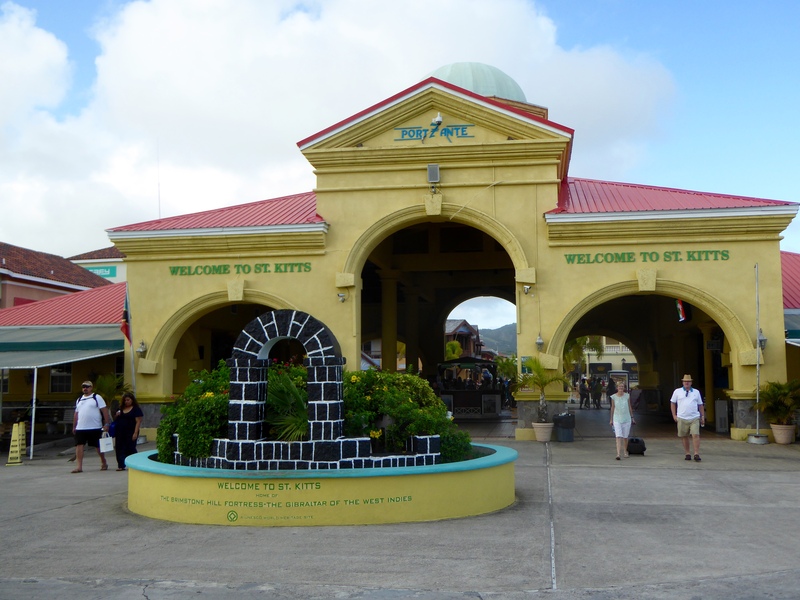 Today we are in St. Kitts. And we love it. All of us are going on the same shore excursion today. 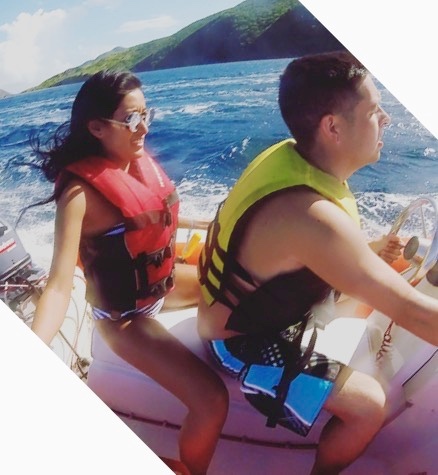 Let’s go on our Mini Speedboat and Snorkeling Adventure. We are going on these mini speedboats. Two humans in each boat–ducks going also. You may notice that we have a new friend. Chip, the chocolate chip cookie, from Doubletree Hotels is with us. Bucket’s parents work for Doubletree Hotel, a division of Hilton Hotels. Bucket, Chip and Bucket’s parents are ahead of us. Bucket’s parents heading to snorkeling area. We loved driving the mini speedboats. The snorkeling was fun also, but the humans did not take photos of us. Maybe next time. 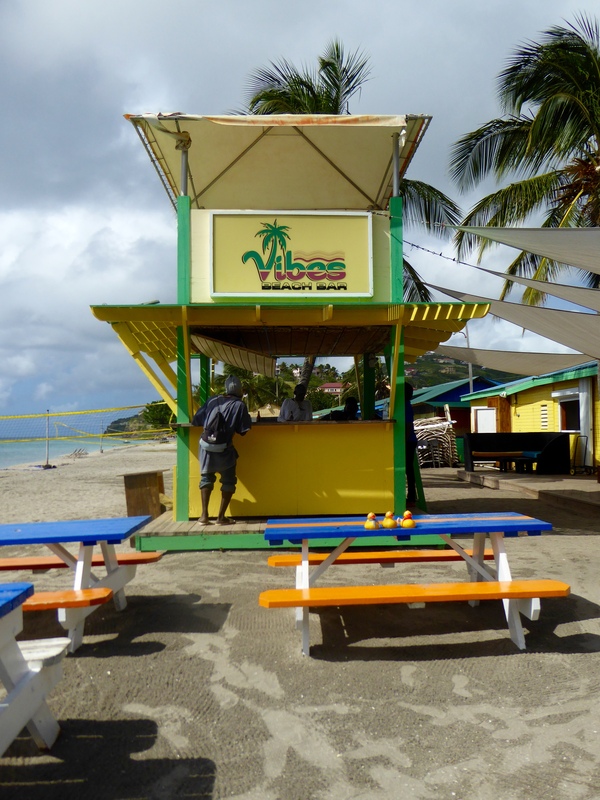 After snorkeling and driving the speedboats, we wanted lunch. 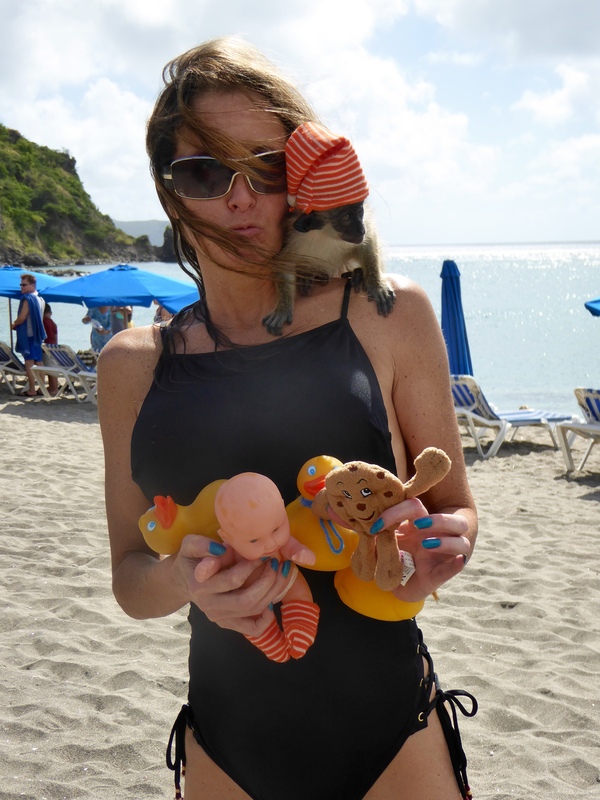 We walk along the beach, and Soapy’s mom saw a man with a monkey. Now she has us, Chip, a monkey and the monkey’s doll. That is a lot to hold, so the man holds the monkey now. He seems to be holding Soapy’s mom, too. We loved that cute monkey, but the moms said we could not take it home. Look, here is a place to order food. What is this? 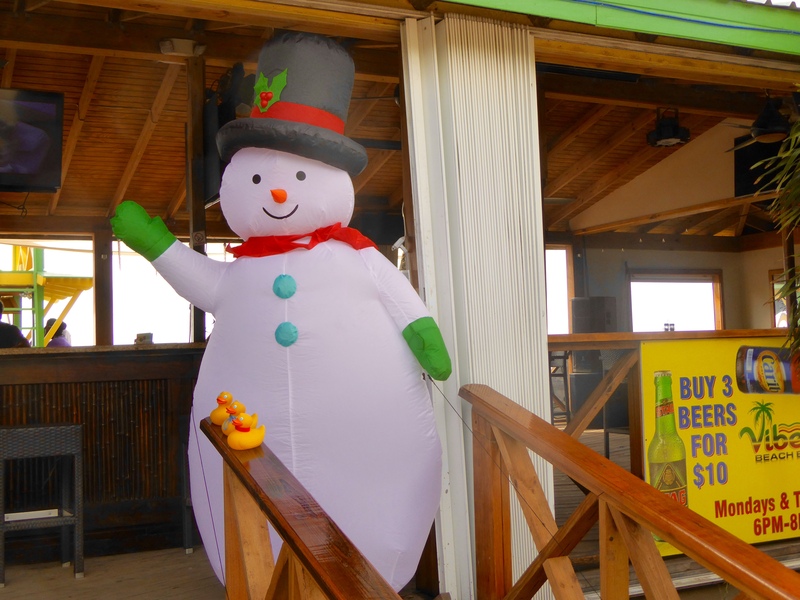 A snowman in the tropical Caribbean. We would like to eat here, looking at the beautiful water. After lunch and a brief swim, a taxi took us back to our ship so we could get dry clothes. Now we head to the shopping area for cruise passengers. 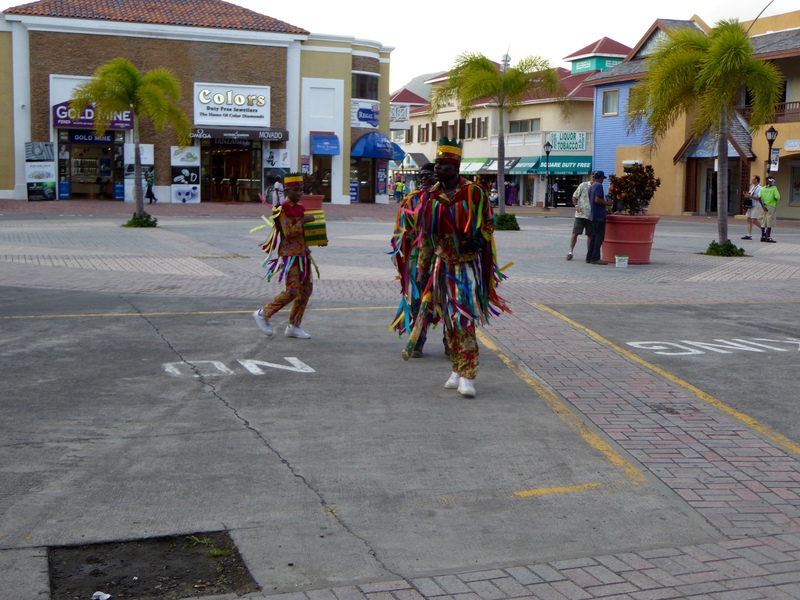 These wandering dancers and musicians are very colorful. We like them. There are lots of places here to shop and eat. 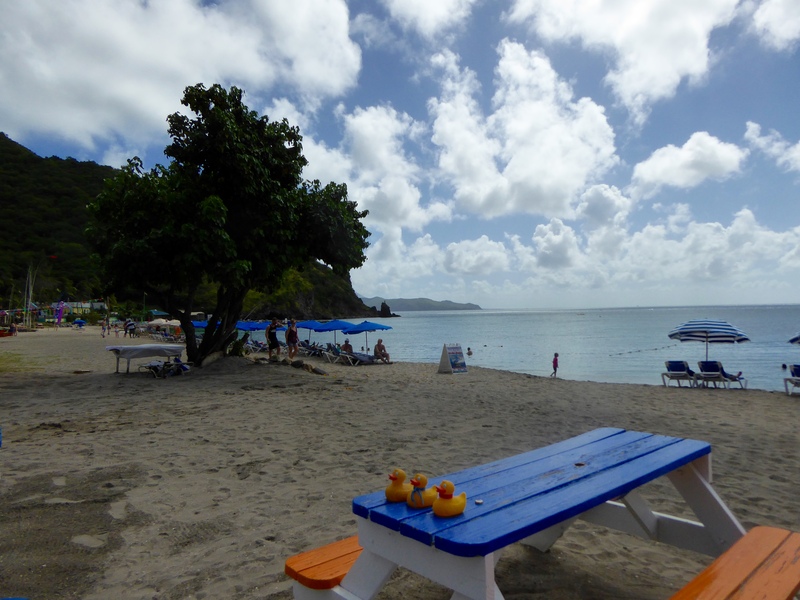 Sailing away on our cruise ship, we look back at beautiful St. Kitts. 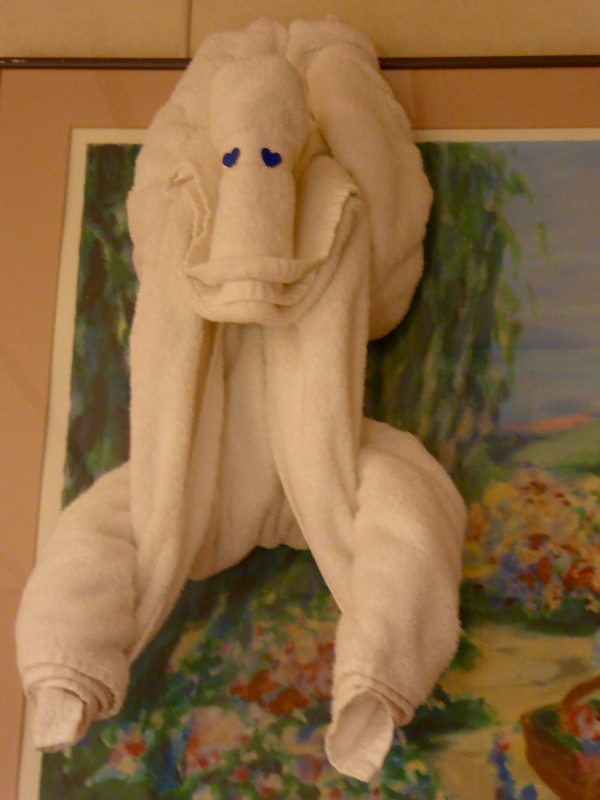 When mom and I return to our room, our new towel art makes us laugh. We love this monkey towel. 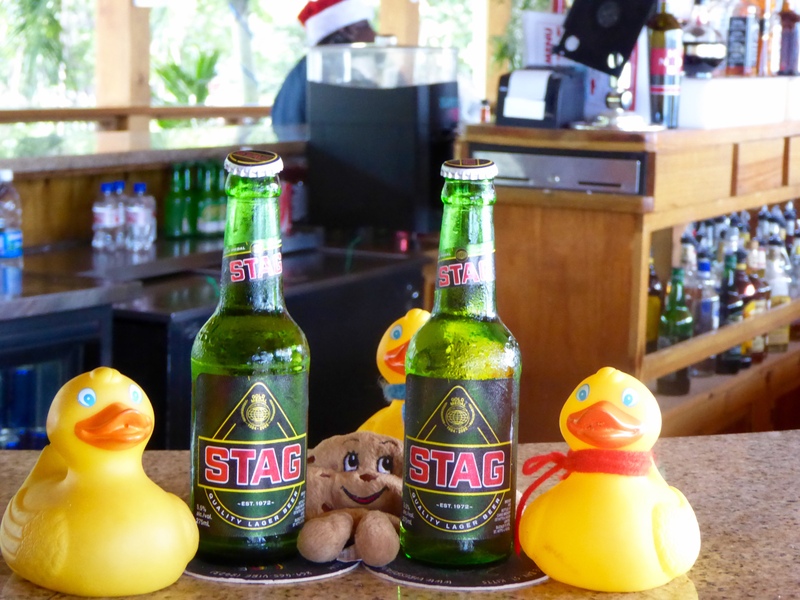 We had fun in St. Kitts and are looking forward to tomorrow’s adventure. 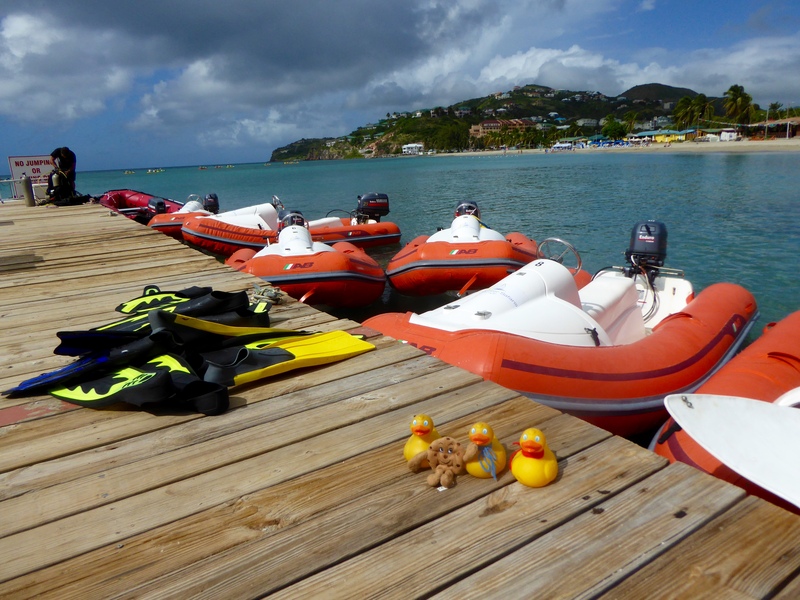 This entry was posted in Caribbean, Uncategorized and tagged Caribbean, Caribbean cruise, Colorado Traveling Ducks, mini speed boats, mini speedboats, monkey, snorkeling, St Kitts. Bookmark the permalink.